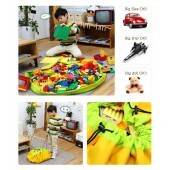 Welcome to Canopymart Kids Play Tents Selection. Do you remember the time when you were a child? How often have you wished that you had a place of your own to go to – a place where you could play with your friends and your toys to your heart’s content? That is exactly what kids play tents offer children! Browse our selection of Kids Play Tents and choose the perfect design for your child's own world of make-believe.